This is the Early Education Movement That Will Have You Questioning Academic Preschools! 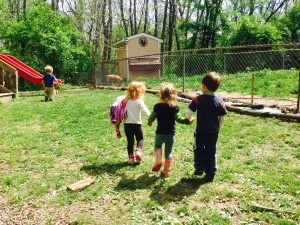 Little Schoolhouse in the Woods’ mission is to foster a love of nature and to guide children toward healthy relationships with themselves and others. It is our belief that children are naturally curious and eager to learn about themselves and the world around them. They are able to communicate their needs and desires. They can ask questions, explore and find answers. Children learn best when they are interested and engaged while accompanied by warm, stable and caring educators and caretakers. We believe children have the right to an education that fosters respect for nature and each other. 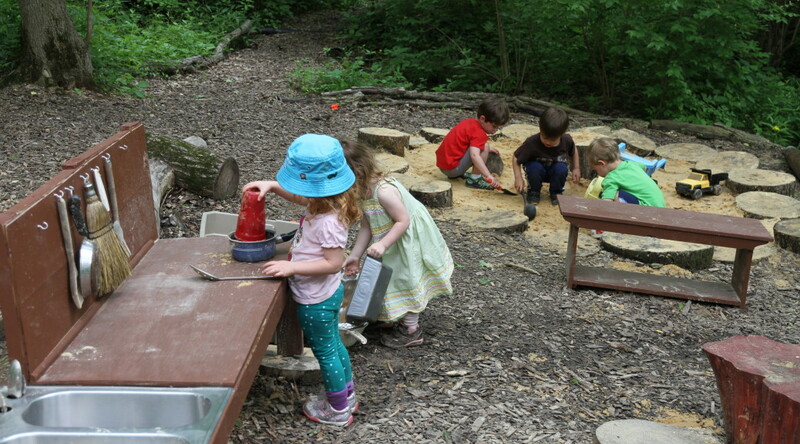 Our goal is to provide children with access to a beautiful, natural play space and a warm, caring environment. We support independence, positive self-esteem, and social emotional skills while allowing them to unfold in a developmentally appropriate manner. 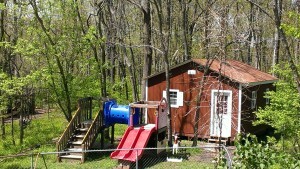 What is Little Schoolhouse in the Woods? 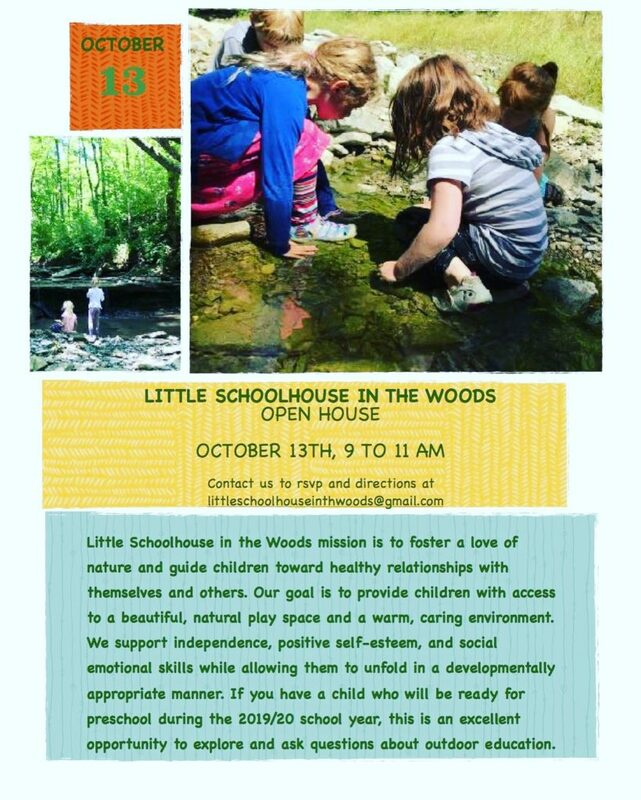 Little Schoolhouse in the Woods is a natural, nurturing Outdoor Education Program serving preschool age children, in the outdoor environment of Mount Airy Forest. Ms. Lee and Mr. Jay provide a wholesome environment with plenty of healthy play in a beautiful setting. They are an exceptional program for early childhood. If interested please contact Ms. Lee and Mr. Jay at 513-481-4141. Little Schoolhouse in the Woods outdoor education center! Outdoor education embraces a student led approach, valuing free play and organized play as fundamental approaches to early education. In addition, resilience, confidence and grit are developed naturally while children steer the direction and content of the curriculum. Through outdoor activities and generous amounts of play time, children also receive warm, caring and stable adult caregivers/educators. 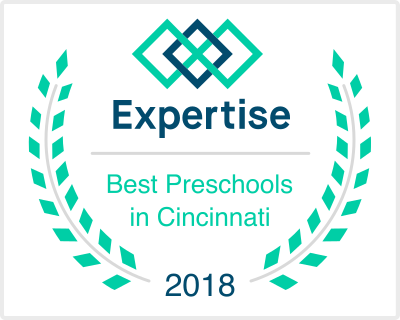 Lee and Jason Hamzy have a refreshing approach to early childhood, which has lead Little Schoolhouse in the Woods to be recognized as a top Cincinnati preschool by Expertise for the second year in a row! Ms. Lee leads some nature explorers! 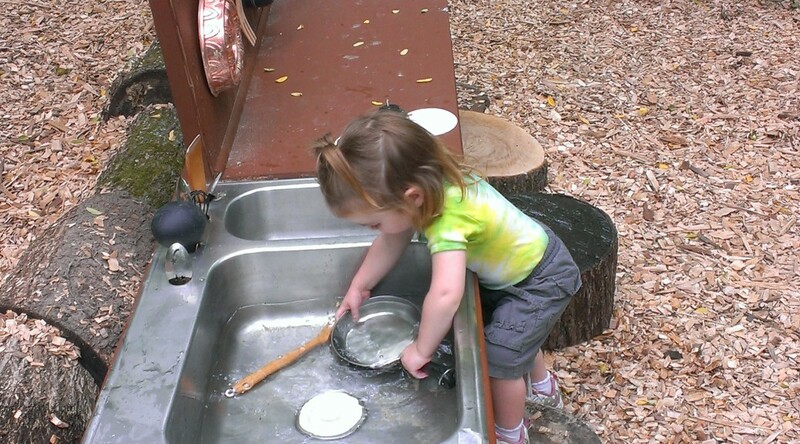 Outdoor education fosters curiosity and independence! Lee Hamzy (Ms. Lee) was Lead Extended Care at Cincinnati Waldorf School for 6 years before she left to become a mother for the third time. With numerous references and an empathetic demeanor, she has truly created a loving place for children to unfold in their own manner. Having been a foster parent for a period of time, opening her home to children has been an important part of her life. The philosophies of Rudolph Steiner, founder of Waldorf education, Helle Heckman’s early childhood approach, and programs like Lifeways are big inspirations for her approach to educating children. She is currently working towards creating a non-profit community corporation that aids, supports and supplies outdoor education to the community. Nothing beats the sunshine and friends! 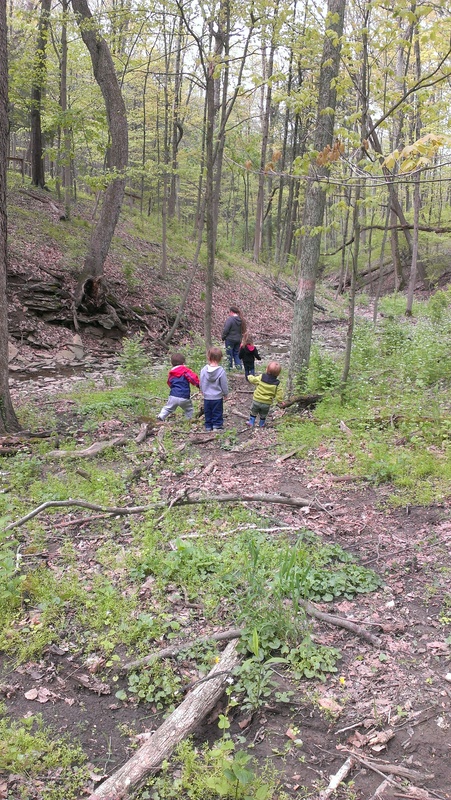 Outdoor education fosters respect for each other and nature. Jason Hamzy (Mr. Jay) graduated with a Bachelor of Arts in Interdisciplinary Studies from Western Governor’s University in 2016. He holds a teaching license in Ohio for PreK-3rd Grade and an endorsement for 4th and 5th grade. He has taught Math and Science to 5th and 6th graders at Chase Elementary and taught 2nd grade Science at Hamilton County Math and Science Academy. Being a foster parent inspired him to become a teacher. 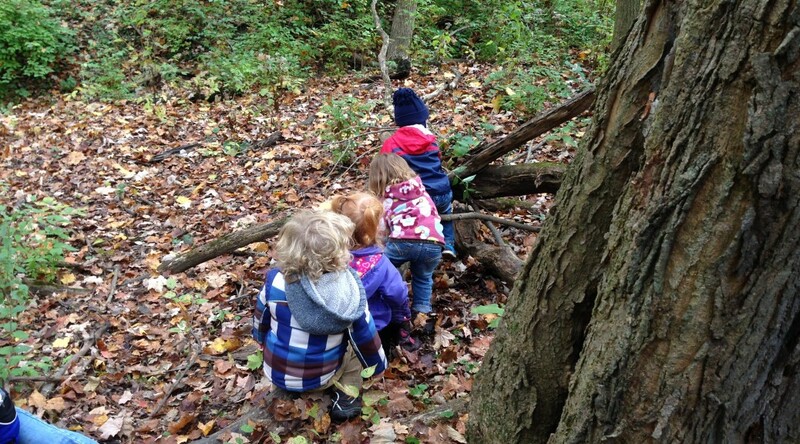 He believes play-based outdoor education is ideal for early childhood. Making a positive difference in the life of a child is his greatest ambition. 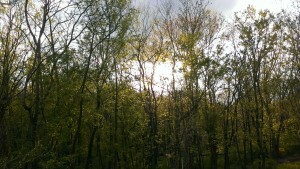 The sun begins descending behind the trees at Little Schoolhouse in the Woods. Outdoor education inspires awe! Both Lee and Jason love the natural world, and hope to be able to share their love of nature with children. Call or email them for an opportunity to meet and discover more about what they have to offer your child. Accepting children ages 3 and 4, from 8 am until 3:30 pm, Monday through Friday, they provide nutritious snacks, generous outdoor nature time, and a rest each afternoon. This is not your typical preschool, but a unique approach to nurturing and guiding children towards healthy, happy development. Contact them today to find out more, and set up a time to meet them. We’re proud to have been recognized as one of Cincinnati’s top preschools for two years in a row! We have Summer Camp 2016 currently enrolling! Check out the Summer Camps 2016 link at the top of the page! I own/operate the Monkey Bus. It’s a purple school bus that has been renovated into a gym for preschool age children. I go to preschools and/or daycare and provide fun fitness classes, do special events, summer camps, etc. Please check out my Facebook page and website (monkeybusfun.com) and if this is something you’re interested in, let me know. I’d love to come to your school…it sounds like you have a unique environment as well for children! Thank you! Such a fun and unique idea! We love the idea of children being active, building physical and social confidence while having fun! While we may not be able to use your services, we wish you the very best of luck! So bummed that the preschool summer camp is full! any chance you will be adding more sessions? Thank you for your interest in our camps! Unfortunately, we won’t be adding any this summer, but stay tuned to the Facebook page and right here on our website for weekend programs! Thanks for sharing this excellent blog! Keep blogging!